Congratulations on making it to Day 15 of your spending challenge! I hope you are feeling positive about your changes and getting through any unexpected obstacles that have popped up along the way. My husband and I had an obstacle this morning – quite literally – that came across our path. We drove over a skunk on our way to our 5am kettle bell class. Dark street, both of us still a little bleary-eyed and the black & white furball was right in our path. The undercarriage of our car was clearly skunked and we could smell it the minute we stepped out of the car at the gym. The solution? An emergency deluxe car wash in the hopes of minimizing the smell. Not the $11 we had hoped to spend this morning, but we had to make a break in the freeze for the sake of our sanity and scent. What unexpected obstacles have popped up on your path over these past two weeks? How have you handled them? I wanted to share with you a great list of gift suggestions for children that I discovered yesterday. The blog Raising Memories has a lot of great posts, but I love this one about non-toy gift ideas. As we make our way in to the winter holiday season, I find myself again struggling with what to give my children. We love the philosophy of experiences over things, and this list really drives that idea home. Reducing our holiday spending is a must this year, so we’re going to hone in on some of these ideas and leave some of the toys on the shelf at the store! Finally, I’m starting a new to-do list method each day for myself. Working from home has been a big change of pace for me and sometimes I feel like I can’t get a handle on all I want to do and all I need to do. So – no more to-dos. 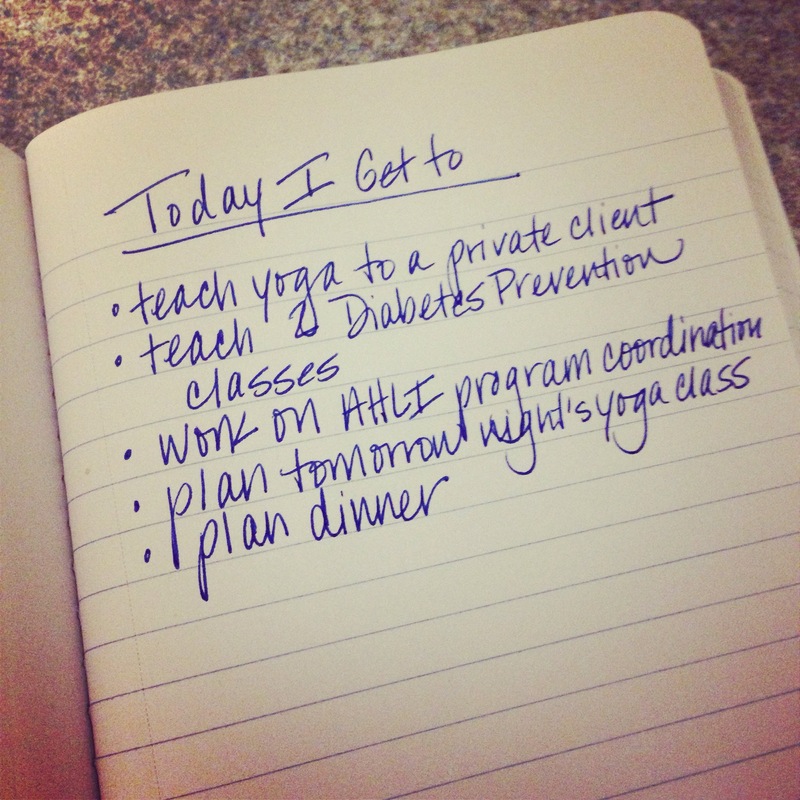 Replace to-do with “I get to….” I got this suggestion from the lovely Ashley Johns who mans the Fierce Forward company and it really changed my perspective this morning. I hope you’ll consider ridding yourself of to-dos too!